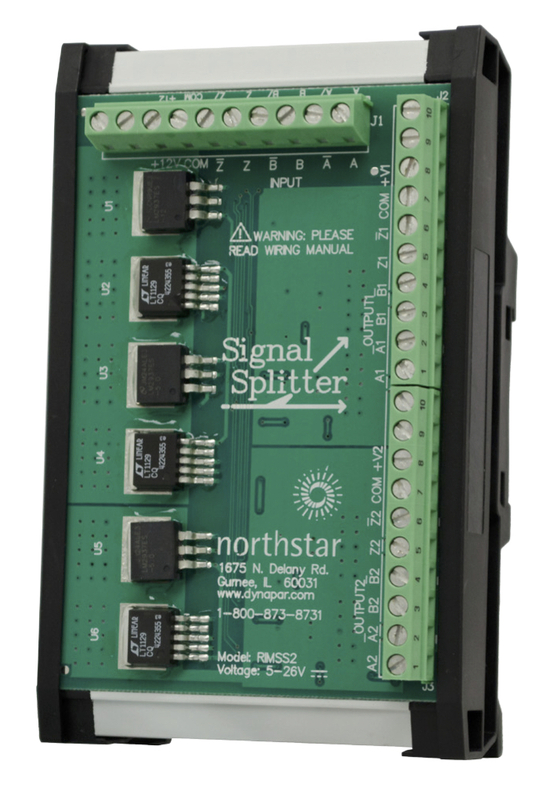 The NorthStar brand Encoder Signal Splitter isolates and duplicates encoder outputs, It is designed to route one encoder’s signals to multiple, isolated locations. 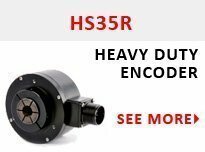 The RIM SS2 Signal Splitter will accept 4-26 VDC signals and provide two independent and completely isolated line driver outputs of 5-26 VDC based on user-defined voltage levels. Its optically isolated inputs accept quadrature or single channel inputs, with or without their complements, from differential line drivers, open collector, and even from proximity probes. The Signal Splitter also has the ability to repeat and amplify signals. Each output of the Signal Splitter is user definable from 5 to 26 VDC. In addition to short circuit protection, outputs are ESD protected according to MIL-STD-883. Each connector of the Signal Splitter is equipped with two positions for VCC and common, as well as two extra field accessible tie points, making power supply connections simple and quick. Capable of driving the output signal up to 26 VDC, the Signal Splitter will also function with either output disconnected.